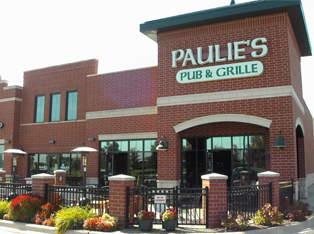 Paulie's Pub and Grille of Aurora, Illinois is a sports bar with great food and a full bar that includes over 50 different beers. Enjoy your favorite beverage and watch your favorite team or just visit with friends. Free WIFI for all customers at the Pub. Located in Aurora, IL the Northwest corner of Eola Road and New York street in The Oakhurst Center. Minutes from Fox Valley Mall & Route 59. "One of the top bars in Aurora Illinois with a great pub atmosphere"